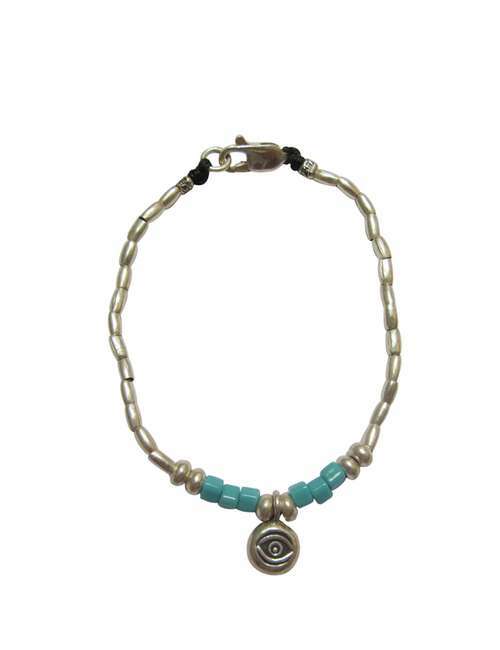 A beautiful bracelet that is simple enough to wear every day, it feature an evil eye for protection set among sterling silver and turquoise seed beads. 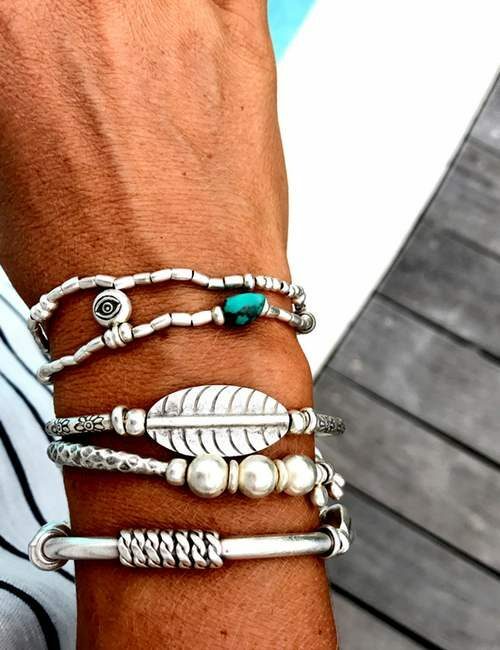 It connects via a parrot clap. 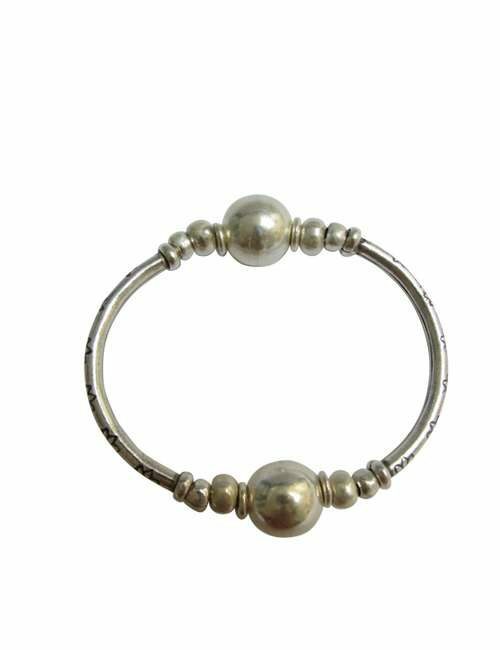 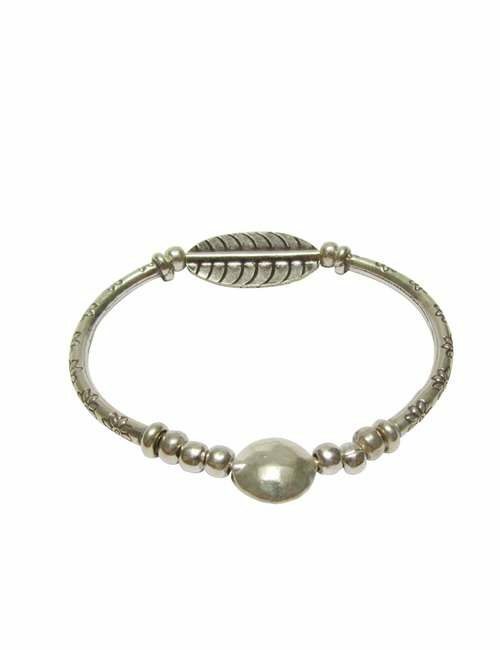 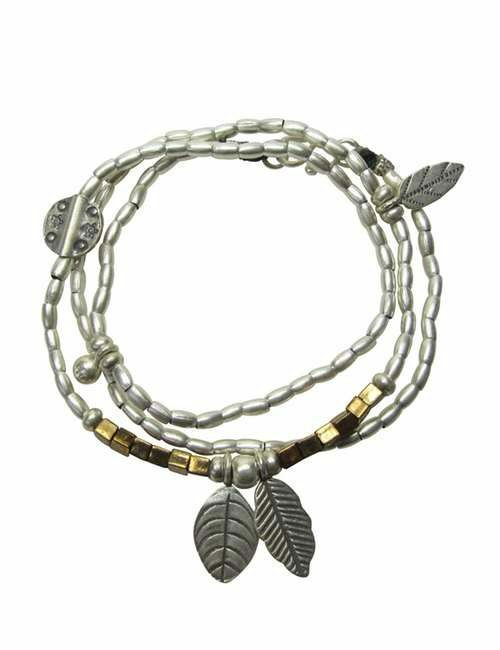 This is a snug fir bracelet, you should be able to comfortably fit your finger between the bracelet and your skin.